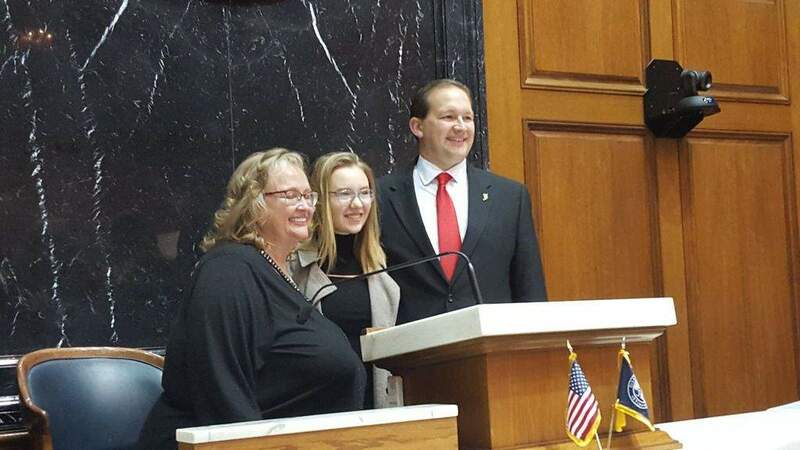 INDIANAPOLIS – Fort Wayne teen Addison Agen – runner-up on the hit show The Voice last month – surprised the Indiana House with a powerful rendition of the National Anthem during a visit to the Statehouse Thursday. Lawmakers in the House and Senate honored Agen for her performance on the show, which captivated the city and earned her national attention. 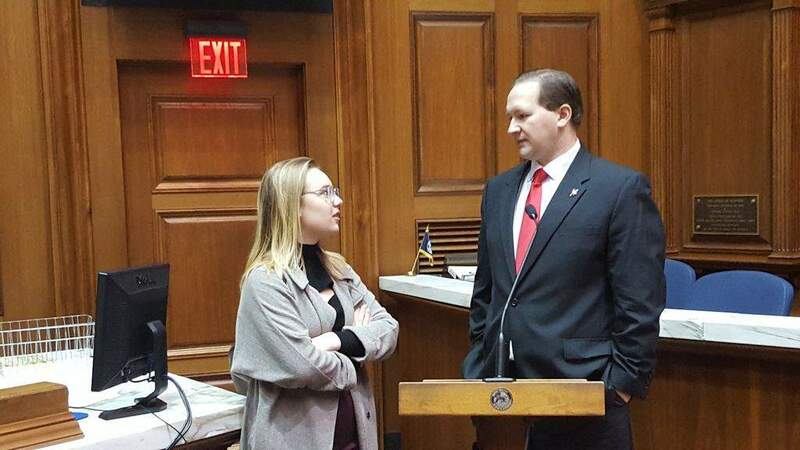 The 16-year-old spent time before the House session meeting members, doing interviews and taking pictures with Hoosiers young and old. Agen called her journey beautiful and life-changing, noting she can now call rock star Adam Levine a friend and "that's kind of cool." Levine is one of the coaches on the show. Agen told the Journal Gazette that returning home and seeing and feeling all the support first-hand has been overwhelming. "Just driving around with friends and seeing all the signs is amazing," she said. Hundreds of people greeted her at the airport when she came back to Indiana and she said a lot of parents tell her their kids now look up to her. "It has brought us all together," Agen said of the experience. Rep. Martin Carbaugh, R-Fort Wayne, said it was wonderful that the whole country got to meet Agen and her sweet, gracious personality. He has known Agen her whole life and told the chamber she is the first contestant ever to go from open call auditions all the way to the finale. "She's been given such a gift from God in her voice," Carbaugh said. His mother, Annette, drove Agen down Thursday from the summit city. Annette Carbaugh beamed from the side of the chamber, taking pictures of Agen and telling people about her pure heart. "I had a shower for her mom when she was still in her mom's tummy," Annette Carbaugh recalled. Agen said she has been busy building a team around her to prepare for a new album and working with a band for her upcoming sold out shows in Fort Wayne. The business details of an album still have to be worked out but she hopes it will be a mix of original songs and some she sang on The Voice. "It's like having a full-time career," Agen said. "There is so much going on behind the scenes. It's not just sitting in my bedroom writing a song." Rep. Bob Morris, R-Fort Wayne, told the House that several of his children were excited to cheer Agen on every week, and his 10-year-old figured out how to vote for her. He thanked her for the excellent job representing Indiana and hometown Fort Wayne. Rep. Bruce Borders – an Elvis impersonator – invited Agen to a small-town show in Mitchell, calling it the big time and promising to feed her. Agen smiled and laughed along with the entire chamber.